Ok but not THAT good! I bought this a while ago along with a sample of other shave creams and gels from Mankind which had all received rave reviews, i wanted to compare them for myself. First off, this serum IS a decent shaving product. It does its job very adequately, lubricates the skin and beard well without being greasy, is easy to apply and easy to clean off the residue. IF you are comparing this against a cheap branded aerosol canned product, then yes, this is a significant step up. However there are some issues. Firstly, i shave using a double edged Merkur razor. I don't feel comfortable that this product provides enough protection for my skin against nicks and scrapes when using a sharp blade like a Feather. Furthermore, since this is a foaming product, albeit low foaming, it doesn't lend itself to a classic multiple pass shaving technique with a DE razor, unless you want to dispense two or three pumps of the product each time you shave, which, at this price, you really wouldn't want to. However, it does work well when combined with a modern double or triple bladed cartridge razor. 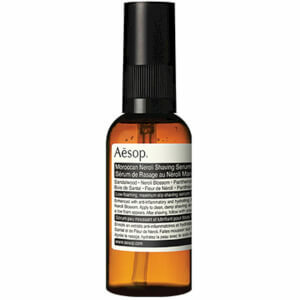 When holidaying or travelling for work i prefer to carry a less bulky Gillette razor than the Panzer 44 of razors which i usually shave with (merkur futur) and here the Aesop serum comes into its own- it's packaged in a small bottle which is perfect for travelling, it has a pretty leak proof pump, and a covering lid which clips on securely so it's unlikely to leak all over your wash bag, and, as it is designed to be low foaming and therefore majors on its lubricating duties, it works well whether you a dealing with hard or soft water. It's become a staple in my travel bag and because i'm not using it every day, has lasted a decently long time. Question is though, are you willing to pay what is an extortionate price for a product that is just decent and who's best point appears to be it's good for travelling with? I don't think i'll be buying it again when it runs out, there are much cheaper alternatives which are just as good and just as 'convenient'. The title of my review says it all. If you want a close shave leaving your skin soft, smooth, beautifully conditioned and deliciously scented, look no further. Really good shaving serum. Fairly expensive for my tastes, but only a very small amount is needed so it's bound to last me a long time. Leaves your skin feeling really smooth and clean. A silly price unless you' re a banker. I really like -smell, the easy and effective sort of half lather it generates whether rubbed in by hand or brushed in- it but an honest reality check tells me its far far to expensive. Might buy more if its on offer. Best shaving gel in the world ... it glides on like a gel and provides a close, comfortable and easy shave. 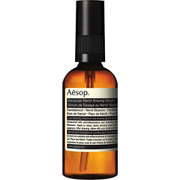 Neroli scent is very masculine and the serum works on light or heavy beard. Light lather and smooth shave but it was gone in a couple of weeks. They should double the size or halve the price to make it competitive. As I enter the Autumn years of my life there is no doubt that this is the best shave product I have used. Blackheads - gone. Face - brighter. Great product. 'Nuff said. Although this product is expensive it is by far the best product I have used. Really close shave and no irritation. Works for me would wholly recommend. Provides the closest shave ever - and it's a nice neat size and lightweight enough for travelling, plus the black cap means it won't spill. One tip... you need only a small amount, so don't go mad and press an entire pump of it out in one go. Simply, by far, the best shave crème/serum you can buy. And smells amazing too. I've tried all the classic cremes from Trumper, Harris, Taylor etc, but this is the #1. This product is a must if you suffer from sensitive skin when shaving. Best shaving product I have tried and leaves no redness or irritation behind. I use it with origins razor glide for the ultimate close and comfortable shave. ERRRRRmm! Not Quite the Ticket! This product is very nice indeed and the smell is great. Had an excellent smooth/close shave. BUT, have used cheaper products that, in my opinion, do just as good a job. Perhaps would put it on my Birthday/Xmas list for a treat. The smell alone would justify this. As long as I'm not paying!!! I received a sample of this with my last order. Doesn't really foam, but isn't a shave oil either. Whatever it is, it makes the shave very close, didn't irritate my skin and smells good too. But I'm not sure if I'd buy it due to its high price (which is why I give it only 4 stars). Ticks all the boxes - really pleasurable shave, smooth and comfortable, no irritation at all (even on my sensitive, parched skin), fantastic organic smell which really gets the compliments flowing but.........in my opinion it's just not worth the outlay. Apart from the smell (full marks without a doubt), I've used other products which give equally good results. I'd love it as a present but the price tag means it only gets 3 stars from me. The closest and most pleasurable shave I have ever had. However, the price point is way off compared to other products in the Aesop line and it 4 x the cost of my former shave prep at Kiehl's. I only give it 2 stars bc of cost. Disappointing. Try the Refinery Oil instead. Before buying this product I read the reviews and noted that previous reviewers thought it was good, but perhaps a little over priced. Having bought this and The Refinery Shaving Oil at the same time, because I was unable to choose without trying them, my preference is the Refinery shaving oil by a mile. Why? 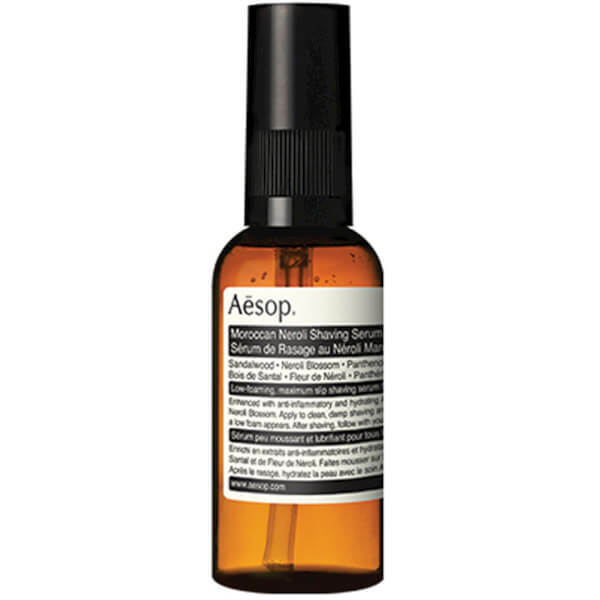 Well the Aesop serum is ultra-slippery, however you need to re-wet your face fairly frequently during your shave. More of a problem, in my view, is that it leaves my skin tight, like after you use soap. On top of that it I think I only achieved about 25 shaves from the bottle (1 pump per shave). So yes I think it is over-priced. Contrast that with the Refinery oil, yes, there is only 30ml in the bottle, but I use 2-3 drops on each side of my face for a shave, so you get many more shaves. Furthermore, because it is an oil you dont have to re-wet your skin as often. While you can still cut yourself (I use a Merkur razor), in my opinion an oil is slightly more forgiving than other shaving lubricants in this respect it gives an awesome shave, and if you look on the back of the pack it is filled with exotic natural ingredients. Negatives? Well it has a slightly unusual smell which some might not like - I didn't but have become more used to it and have chosen to overlook it as the product is so good. The only other negative is that because the bottle is filled to the brim, you have to shake it vigorously to get the product out for the first couple of shaves - after that it is fine. Personally I overlook this too because the bottle is old fashioned in that it is a simple glass bottle. No plastic insert nozzles to give an easy pour or any such nonsense. Overall I urge you to support a fantastic product that seems to come from another era in that it hasnt been 'tizzed up' by modern marketing. Try it!